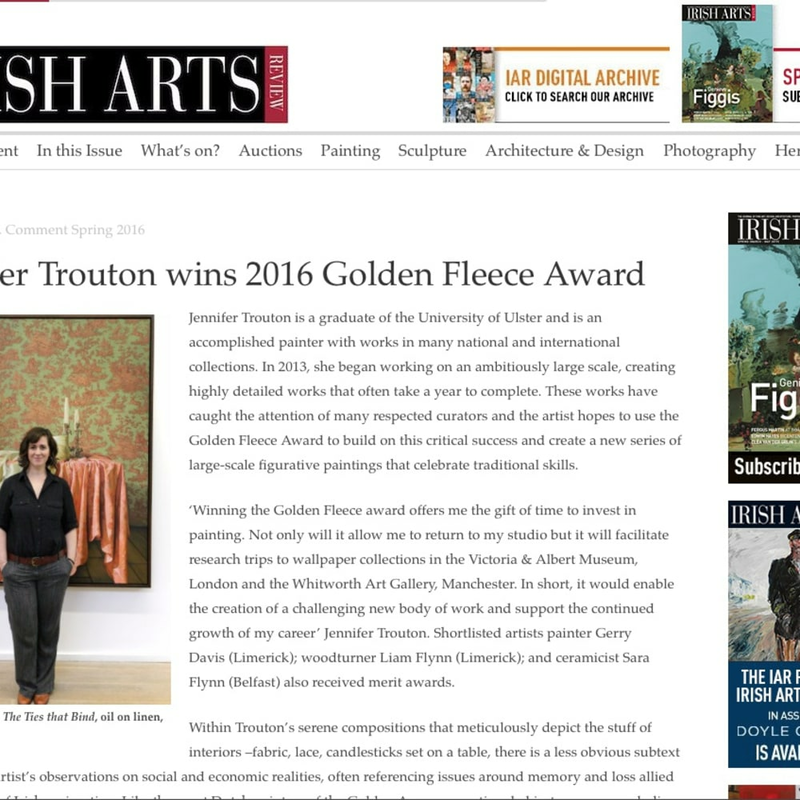 Jennifer Trouton wins the 2016 Golden Fleece Award. 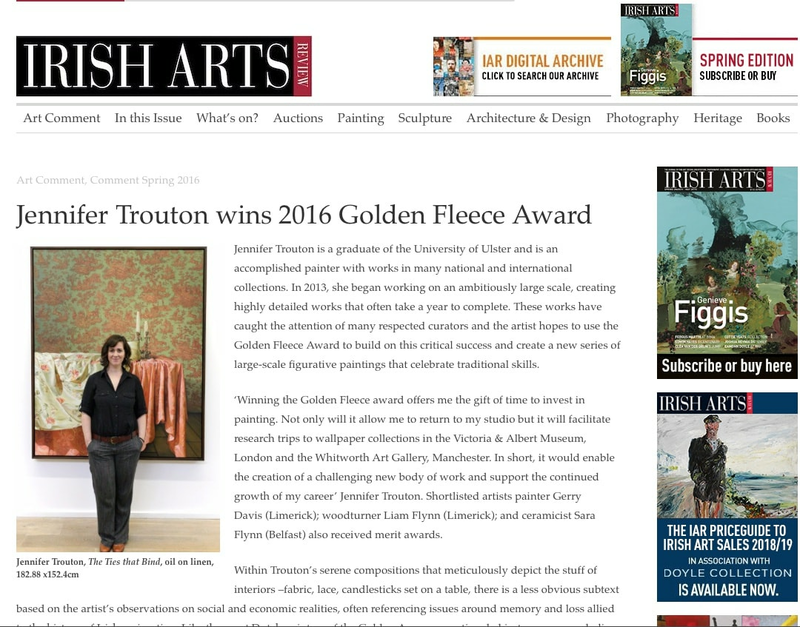 Jennifer Trouton is a graduate of the University of Ulster and is an accomplished painter with works in many national and international collections. In 2013, she began working on an ambitiously large scale, creating highly detailed works that often take a year to complete. These works have caught the attention of many respected curators and the artist hopes to use the Golden Fleece Award to build on this critical success and create a new series of large-scale figurative paintings that celebrate traditional skills. ‘Winning the Golden Fleece award offers me the gift of time to invest in painting. Not only will it allow me to return to my studio but it will facilitate research trips to wallpaper collections in the Victoria & Albert Museum, London and the Whitworth Art Gallery, Manchester. In short, it would enable the creation of a challenging new body of work and support the continued growth of my career’ Jennifer Trouton. Shortlisted artists painter Gerry Davis (Limerick); woodturner Liam Flynn (Limerick); and ceramicist Sara Flynn (Belfast) also received merit awards. Within Trouton’s serene compositions that meticulously depict the stuff of interiors –fabric, lace, candlesticks set on a table, there is a less obvious subtext based on the artist’s observations on social and economic realities, often referencing issues around memory and loss allied to the history of Irish emigration. Like the great Dutch painters of the Golden Age unexceptional objects carry a symbolic reference if we look attentively.